There is a big stink going on in the U.S.
Stink bugs are becoming a growing problem in homes and in the agricultural industry, and they are making their annual migration indoors with the arrival of fall. Like other pests, stink bugs seek shelter in homes and other structures when temperatures cool. Once inside, the critters will hide in out-of-the-way places and be a nuisance to residents, says the National Pest Management Association (NPMA). Stink bugs are growing in numbers and causing damage. 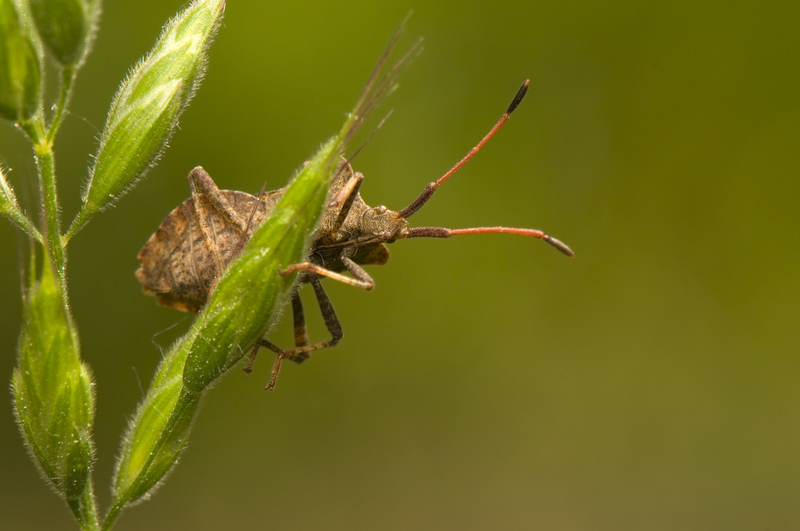 Since the late 1990s, the Brown Marmorated Stink Bug (BMSB) has been on a coast-to-coast trek across the U.S. Now in 41 states, the bugs arrived from Asia and have become a menace to agricultural crops and generally a nuisance to people. The bugs, which quickly reproduce, were blamed for $37 million in apple crop losses in 2010, prompting one member of Congress to organize a public hearing in W. Virginia. The U.S. Dept. of Agriculture and scientists are working to reduce populations by developing traps, sequencing the bug’s genome and testing the use of parasitic wasps to ward off the stinky pests. For the second straight year, the USDA’s Appalachian Fruit Research Station is taking a census of the stink bug population through its Great Stink Bug Count. Stink bugs like to hang out in undisturbed locations indoors and emerge when people least expect it. In the fall, dark, quiet areas and under boxes and clutter are prime nesting spots for stink bugs, as they prepare for mass reproduction in the spring. Henriksen said property owners should do routine checks and fixes of doors, windows, cracks and crevices around the property to keep the bugs out. Screens with holes on doors and windows, for example, should be replaced. Those tips go a long way in keeping out other pests that tend to seek shelter this time of the year. Mice and rats, cockroaches and spiders can be invasive and pose health hazards while damaging structures. Screen attic vents and openings to chimneys. Eliminate moisture sites, including leaking pipes and clogged drains. Store firewood at least 20 feet away from the house; keep shrubbery well-trimmed. Install door sweeps and repair damaged screens. Inspect items such as boxes of decorations and grocery bags before bringing them indoors. Henriksen said while pest control treatments can help control the stink bug population, the best action is to keep them out from the start. “For most people when stink bug populations aren’t the most extreme, exclusion will go a long with in controlling the population,” she said.